With the release of the album, the most songs on the album, "연애소설," "빈차," "노땡큐," "상실의 순기능," and " HERE COME THE REGRETS," have immediately become number 1 hits on music sites. This LP version of "We've Done Something Wonderful" is Epik High's first LP version which is going to be exciting for Epik High's fans. 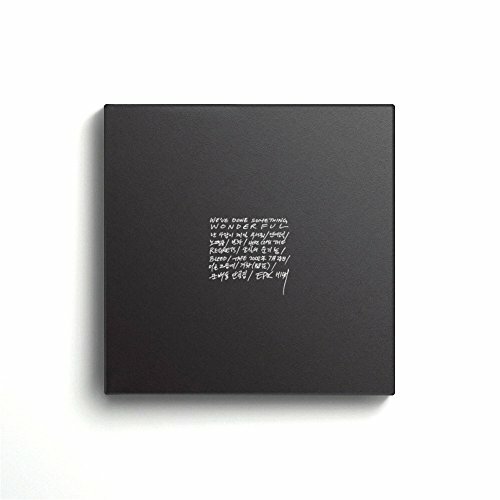 With the success of the sales of the Instrumental version of the album in November, the Epik High members are promoting this limited edition LP version. Pre-order the EPIK HIGH [WE'VE DONE SOMETHING WONDERFUL] LP starts on 3:00 PM on December 7th, 2017. You can also purchase the LP album on YG e-shop and other online or offline music stores starting from December 21st, 2017. Colors can be seen different according to screen setting. Measurements can be differed by measuring method. If you have any questions about this product by YG Entertainment, contact us by completing and submitting the form below. If you are looking for a specif part number, please include it with your message.